separated from my friend, Cindy. I was seated with a beautiful, polite, young lady named Katie... or maybe it's Katy. Anyway, she and I just struck up a conversation about different things... Dancing, both contemporary or ballet, Greensboro, missionaries in Thailand, (such strange conversation topics for strangers to discuss) and of course my love for Biltmore just happened to spill over into the conversation. 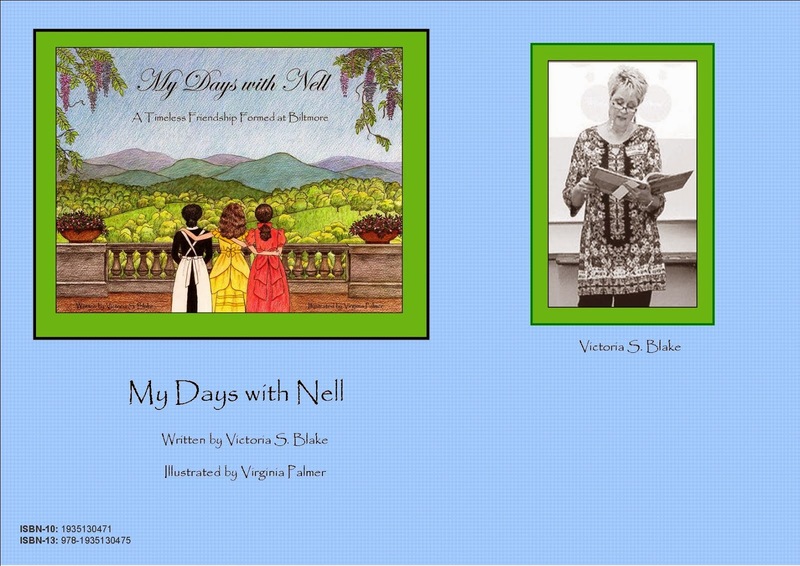 Before I realized it, I had shared that I had written a book about Biltmore for young folks. I never do this! She asked me my name and the name of my book. The next thing I knew we were being escorted off the shuttle and parted ways. About two hours later, I saw her in the house and she introduced me to her mom. We toured the house for a few rooms together. Katie is absolutely the cutest young lady! She told me she had just purchased, My Days with Nell, and asked if we happened to see her later would I sign it for her. She had left the book at the carriage house for safekeeping. Unfortunately, We, again, were separated by the crowd of people and I didn't see her anymore. Before I left The estate, I went by the Carriage House gift shop and asked the clerk if I may see Katie's book. I explained what had happened and that I wanted to surprise her with signing it for her. I probably won't ever see Katie or her sweet mom again. I hope she was pleasantly surprised when she received her book. I hope she will enjoy reading it and she will be inspired to leave blessings for others. I believe she may have begun her trail of blessings in that meeting such a kind, polite, young lady was a blessing to me. God bless you sweet girl!